A growing number of organizations are expanding the traditional view of physical health and safety to include the total well-being and mental health of their workers, and rightly so. Good mental health allows workers to cope with the everyday stresses of life, work productively and meaningfully, and contribute to their community. 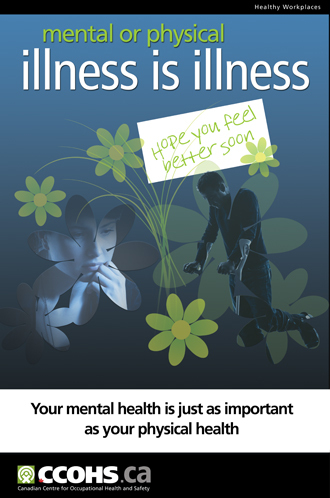 Display this poster to reinforce the message that illness is illness, and whether mental or physical, the response to someone suffering is the same. For more tools and resources, visit our Healthy Minds at Work website.